Telangana (TS) Intermediate 2nd Year Results 2016: After the results of AP Inter 2nd Year. 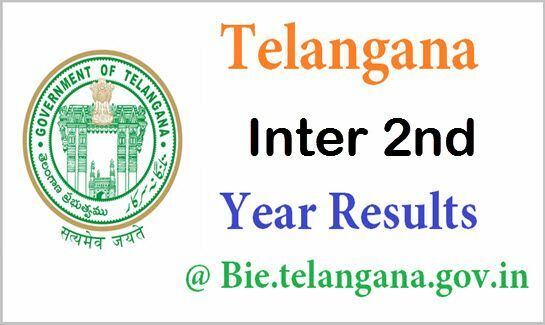 Now, it is time for Telangana Inter Second Year 2016 Results. Telangana State Board of Intermediate Education (TSBIE) successfully conducted 1st year and 2nd-year examination in the month of March 2016. Telangana Intermediate Education board have announced that the 2nd Year Inter (Senior Intermediate) 2016 will be declared on 20th April @ 10 AM. Candidates who had written the TS Inter Second Year exam are eagerly waiting for the results. TS education minister Kadiyam Srihari will declare Telangana Intermediate 2nd year results. These results will be available on official web portal www.bietelangana.cgg.gov.in and manabadi.com, schools9.com Here you can check out the Results of TS Inter 2nd Year 2016 from the below link. Telangana (TS) Intermediate 1st Year Results 2016. Scholarship 2016 For 10th, 12th, UG, PG & Abroad Study Students. TS 12th or Senior Inter Results Release Date: 20th April 2016. All the candidates of Telangana who are studying various courses like MPC, BiPC, HEC, CEC etc. appeared for the examination across various centers in Telangana. The candidates are examined in Part-I English, Part-II Second Language and Part-III Group subjects for 500 marks in 1st year. And 470 marks for HEG group, 470 marks for MPC Group. The percentage of pass marks in each paper is 35. The division in which the candidates are placed is decided on the basis of their passing all the papers in the 1st year and in the 2nd year. On the basis of these results, students are to be admitted to the University. Therefore, both students and parents are known to eagerly wait for the declaration of TS Sr Inter Result 2016. Visit the official website or from the direct link provided below. Click on TS Inter 1st & 2nd Year Results 2016. Enter your roll number and Date of Birth in the provided fields. Download / Take a printout for further reference. Also See: AP Intermediate 2nd Year Results 2016 – Check Here. TS Intermediate board after releasing the regular Intermediate Results 2016 will be coming up with the schedule for the supplementary and the improvement examinations. The students who feel that they did not perform well in the regular examinations and want to utilize the second chance provided by the board can take up the supply examinations which will be conducted in the month of June/ July 2016. The whole schedule for these supplementary examinations along with the fee payment details is yet to be released by the board which is expected to happen soon after the announcement of the Results. Hope you like this TS Intermediate 2nd Year Results 2016. If you like this please share it to your friends who are eagerly waiting for Telangana (TS) Inter Second Year Results 2016. Sardaar Gabbarsingh First Day Collections Worldwide, India, AP. Black Listed Universities in The USA 2016 Complete List. India Rankings 2016: Top 10 Universities, IIT, IIM, Pharmacy Colleges. Thanks for updating inter results bro . Thanks for your comment, We will also update the 10th results. Please Stay Tuned to this website.